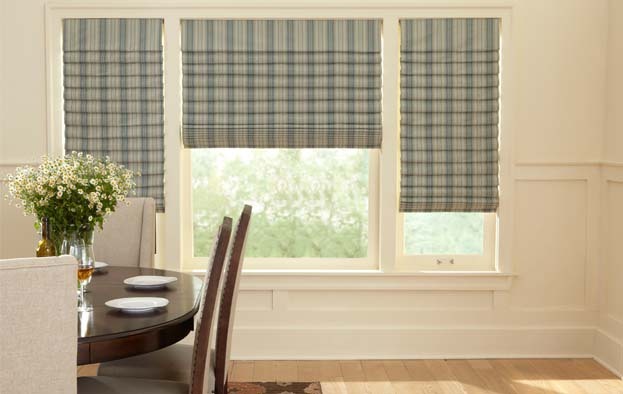 Child Safe Roman Shades - by Exciting Windows! Quality fabric match so each pleat aligns properly. Cordless feature to eliminate child safety hazards.